The House of Representatives has passed a bill tightening visa-free travel to the US following the Paris attacks. The measures would bar people who traveled to Iraq and Syria after March 2011 from the Visa Waiver Program (VWP). People who have visited Iran and Sudan – which the US accuses of supporting terrorism – would also need a visa. The White House-backed bill was proposed because the Paris attackers could have traveled to the US without a visa. Donald Trump has called for far greater restrictions, proposing that all Muslims be barred from entering the US until further notice. The Republican presidential candidate’s comments – made after a deadly mass shooting in San Bernardino, California, by Islamist sympathizers – have been condemned by politicians from across the political spectrum. 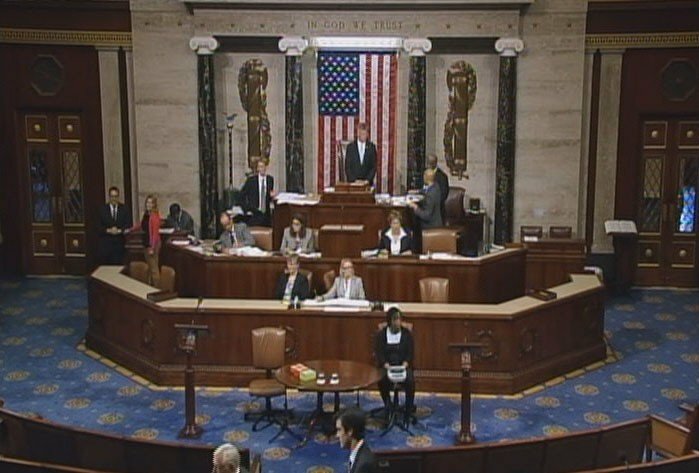 The House voted 407 to 19 in support of the proposed change to visa-free travel. “In an abundance of caution, we will now require those individuals to apply for a visa and go through the formal visa screening process,” said House Republican Candice Miller, the bill’s main sponsor. There are 38 nations currently included in the US VWP. According to US officials, about 5,000 Europeans, including many from VWP nations, have traveled to Syria and Iraq to fight with extremist groups such as ISIS and pose a risk to the US. If the bill passes through the Senate and is signed into law, it would also require all travelers arriving in the US under the VWP to have electronic passports containing biometric data from next April. The bill also calls for countries participating in the VWP to share more information about suspected terrorists and criminals.